The Alison Chadwick Memorial Award is a financial award made to either a female mountaineer or an all female expedition. This article sets out the background to the award. In 1978 Alison Chadwick, a British climber, died close to the summit of Annapurna I whilst a member of the successful American women's expedition. Three years earlier, together with Janucz Onyszkiewicz (her Polish husband) and Wanda Rutkiewicz she had already reached the summit of Gasherbrum III - at the time the world's highest unclimbed summit, and probably for ever the highest virgin summit climbed by a woman. Following her death, a Memorial Fund was instituted in her name ‘to provide grants to further British and Polish women's mountaineering in the world's greater ranges, ie: further afield than the Alps'. At the end of 1990, the entire assets of the fund were very generously passed to the Mount Everest Foundation which has continued to award grants broadly in line with the original guidelines. However, rather than administer the Award as a separate fund, the MEF decided that it would award the grant to an applicant for MEF support – either an all-female expedition or an individual female team member - which also meets the above criteria. Hence, there are no separate application forms, and there is no need for an applicant to indicate that she wishes to be considered for the Award: eligibility is considered automatically during the normal MEF Screening process. MEF grant application forms can be downloaded from the MEF website or obtained direct from the Hon Secretary. In either case, they must be completed and returned to him by 31st August or 31st December of the year preceding the expedition. Early applications will be interviewed in November and the later ones in March. It is advisable to submit applications as early as possible. 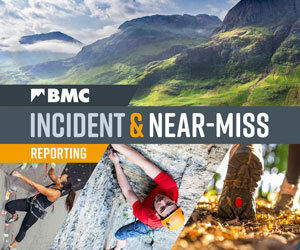 The BMC is pleased to announce the inauguration of the Julie Tullis Memorial Award, a small grant to assist deserving female mountaineers or any disabled climbers or mountaineers, both male and female, to achieve their climbing or mountaineering ambitions.